Patching drywall sounds intimidating. But it totally isn’t! If you’ve got a hole in your wall there’s no reason to hire a professional or even call a neighbor. You can easily repair it all by yourself. With a little time, patience, and an eye for detail, you’ll have a wall that looks completely perfect. I’ve put together some instructions to help you out–good luck patching! 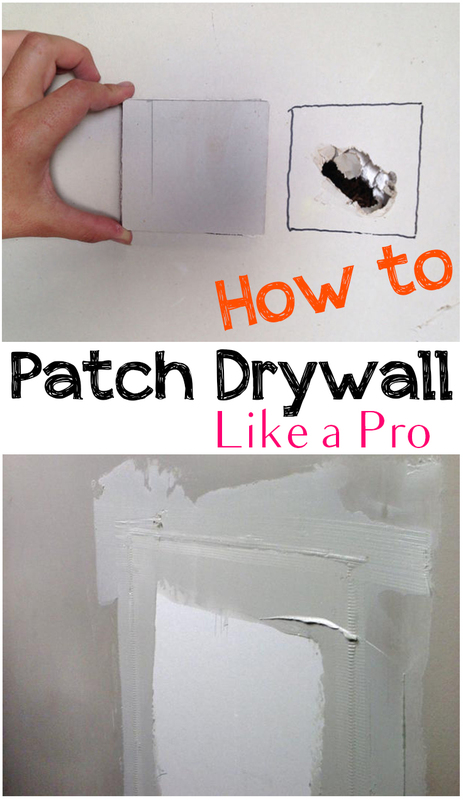 I really like how you said that its really easy to repair your own dry wall hole. I had no idea that you just cut a small replacement for it. My little kids are always putting up holes on my wall. Thanks for sharing because I have quite a few to repair. This is really helpful, especially for a tiny little repair that needs to be concealed. Thanks for sharing. Unfortunately I don’t have a video, but I’m sure there are lots out there!